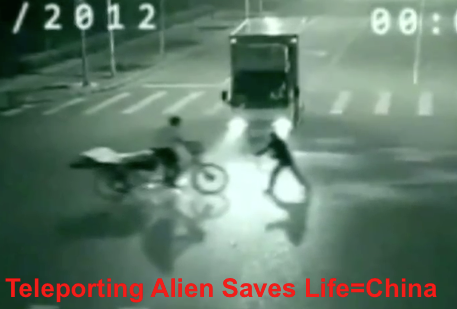 UFO SIGHTINGS DAILY: Updated: Alien Saves Mans Life In China Car Accident, Sept 2012 Security Cam Video. Below photos show his body as light shooting across the road to the man. 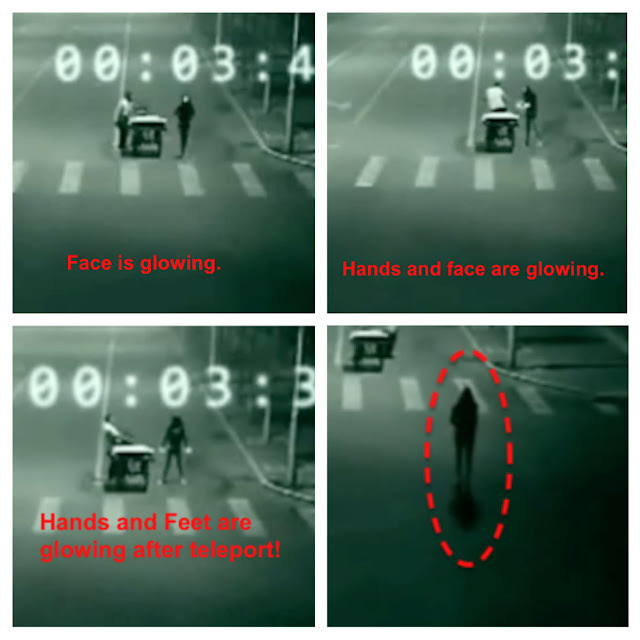 Updated on May 17, 2014: The icon (Chinese words) in the upper right hand corner is a watermark from Tudou that all video uploaded to the Chinese video sharing site get. 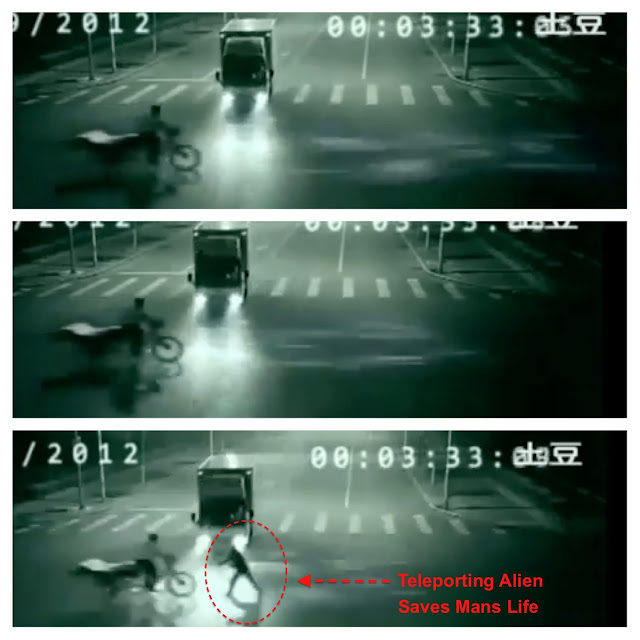 At www.tudou.com This is the original location of the video before it went viral.